There are three reasons why you’ll love this recipe for crispy ‘fried’ chicken. 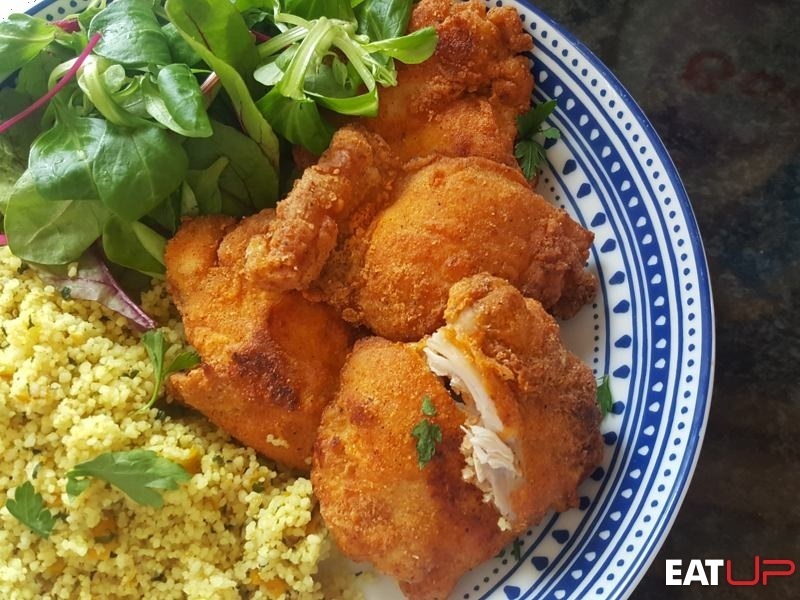 First, this chicken tastes just as delicious as your favourite fried chicken cheat meal – only this recipe isn’t deep fried but baked, keeping the fat content lower. Secondly, you can make a batch of this chicken with little effort and without breaking the bank. All of the ingredients you need for this recipe come to under £5 and then you have all of the seasoning you need to make this recipe at least 10 more times - tasty and thrifty! Finally, this is a perfect dish for when you really need a break from your regular chicken breast. 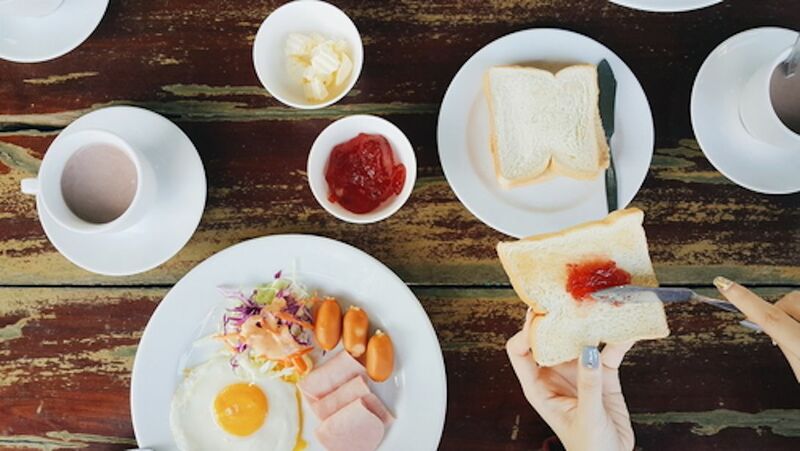 Perhaps you are craving a ‘cheat meal’ or you want a tasty change from eating plain chicken breasts every day. 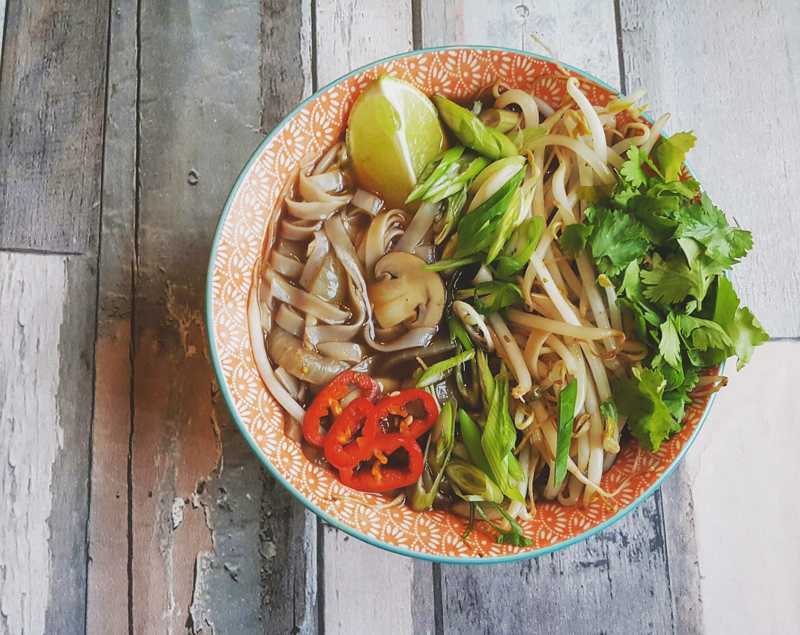 This recipe hits impressive macros and looks seriously appetising – even if you’re not on a diet. 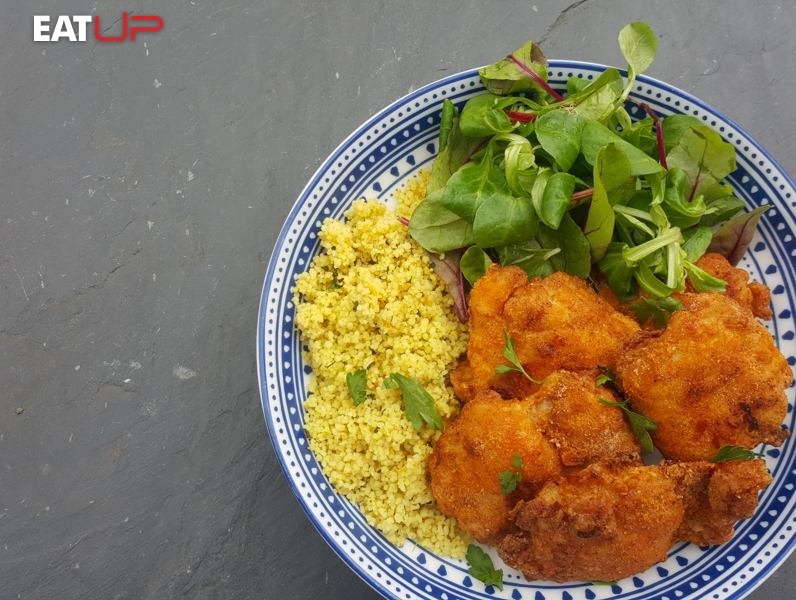 Give this recipe a try and enjoy succulent ‘fried’ chicken that is both crispy on the outside and tender on the inside. 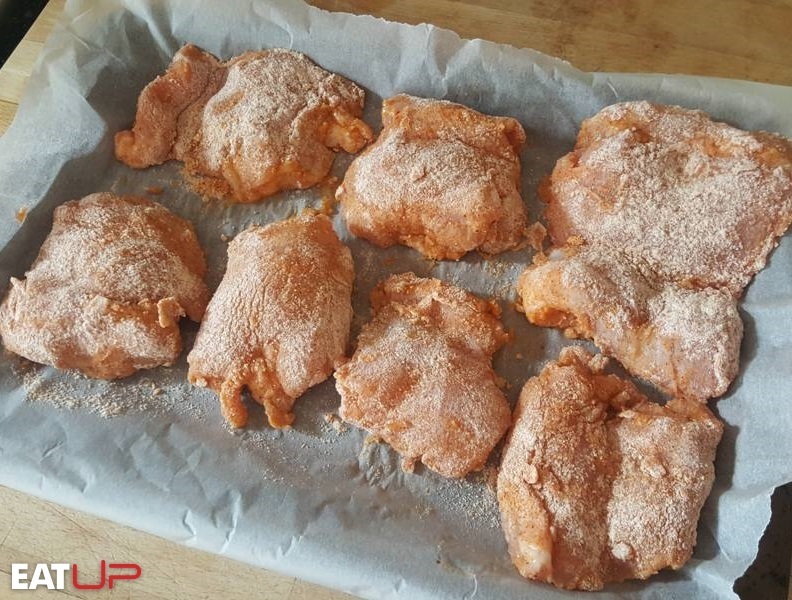 *This amount has been halved when calculating the macros for this recipe because you will only use half of the mix when preparing your chicken. Take your chicken thighs and trim off any excess fat. Whisk your egg in a bowl. In a small mixing bowl, combine the rice flour with all of the seasonings. Take your chicken thighs and dip them in the egg mix one at a time. Place the coated chicken thighs into the mixing bowl with the seasoning blend and completely coat each piece. Place on a lined baking tray and season with sea salt. Bake in the oven for 30-35 minutes until the chicken thighs are golden brown. Flip them half way through the cooking process. Remove from the oven and cool on a wire rack before serving with sweet potato fries and homemade ketchup.